I’ve been busy again on yet another secret project, this time creating a brand new virtual business with a friend. One of the many tasks required by a new business is the selection of its name. This, you might think, would be a straightforward piece of work. The other goal of naming is the “color” of the name. Whether you realize it or not, most words carry a connotation with them. They may be positive or negative, elegant or ugly. The point is that words trigger feelings in people, often unconscious feelings. If the words conjure feelings that don’t match your business, then you are automatically at a disadvantage, because people will already feel strangely about your business before they even visit! The name’s flavor should not only have some relationship with the products or services you provide, but also evoke professionalism, positivism, quality, confidence and of course, hipness. The best way to test this property is to clear your head, then quickly stare at the written name. Ask yourself, “What was the first image that came into my head?” and “How do I feel when I see that name?” Then imagine what your customers will think and feel when they do the same. There’s one often-forgotten aspect of name-flavor: Expandability. While your business name might match your products and services very well today, what happens in the future when you expand your product line? Will the name still make sense? Take a few moments to consider where your business might end up, and make certain your name still fits. But how, exactly, can one come up with a name that meets all these needs? You can stare out the window and hope for divine intervention, or use one of these awful online generators, but there are a few tricks that can help the process immensely. 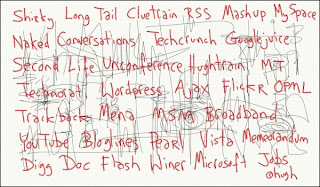 Get a thesaurus, or better yet, use an online thesaurus, such as http://thesaurus.com. Think of words that describe what your business does or produces, and use the thesaurus to identify alternate words that meet the criteria above. Hopefully you’ll end up with several candidate words. Still with the thesaurus, search for words that evoke the qualities you want your business to exude. For example, if you sell intricate clockworks, I’d search for words like “sharp”, “precision”, etc. Armed with a bundle of good words, try producing compound names by putting the words together in different combinations. Don’t just think them; write them down and look at them. Say them aloud, and cross out the ones that don’t feel right. You will soon have a short list of pretty good names. An alternative to a compound word is to use either a suffix or prefix. Like words, suffixes also convey feelings, so the same process can be used: write down combinations, say them aloud, throw away the lousy ones. A short list have you soon will. Which one should you choose from the short list? You don’t. Your friends and trusted associates will. That’s right, gather up a small group of friendlies, hopefully from different backgrounds, and throw the short list at them. Don’t give them a lot of time, because you’re looking for initial reactions, just as potential customers will react. You might be surprised what they say, but trust them. You’re done, right? Nope. Open that browser and register the name. Right now! There's been some discussion lately about whether SL is sufficiently easy to use by the general public. I'm not so sure, and here's my thinking. Innovators. These are the folks who "invent" the change. The ones with the screwdrivers. The like the change; they make it happen. Early Adopters. These people like change just to be different. They will endure any pain or trouble simply to be able to say "we did it!" Pragmatists. This group is interested in embracing the change, but will do so only if they gain from it. It is not sufficient for them to "just do it". They have to get a return for their trouble. And that return might be money, could be fun, but it is substantial. Conservatives. Like the Pragmatists, the Conservatives want the return on their investment of time and effort, but they will not tolerate any trouble. It must be a smooth experience, without difficulty. Any slight issues are enough to put them off and they will disappear. It's got to be easy for them. Skeptics. The final group simply does not want to change under any circumstances. No logic or benefits will convince them to take the effort to make a change. As you can see on the chart, there are typical percentages associated with each category that are found within populations subjected to change. You may scoff at this analysis, but I've personally found these percentages were almost *exactly* as predicted in several real life situations. Don't bother trying to convince the Skeptics. You can't. New technology services must be easy to use, or you won't get the large group of Conservatives to participate. Usage growth at the beginning is different than Pragmatist and Conservative growth. The "chasm" Moore speaks of refers to the problem of startup companies who invent a useful, but tricky product. They find Innovators and Early Adopters rush to use it, and foolishly extrapolate their growth curve right through the other categories. Of course, the Pragmatists and especially the Conservatives don't react well to tricky products, and the company's growth stalls. 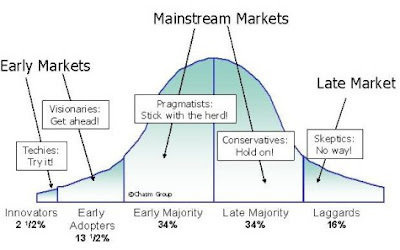 Companies have to find a way to "cross the chasm" between tricky and mainstream products or they die. Where is SL? I believe it's right on the precipice of the chasm. It's attracted all the Innovators and Early Adopters that likely exist and are interested. Growth suddenly stabilized a while ago, and that's when we hit the edge of the chasm. In fact, have you ever noticed that most of the people on your friends list are creators of something? Other than newbies, who tend to disappear, most of us are creative types. The newbies who disappear are not. What is SL to do? Clearly, if it is to grow it must find a way to cross the chasm. They will do that by simplifying things significantly, and M's plan of making the initial experience better goes along those lines. But there is much more to do, especially in the viewer. But more about that another day. That's a strange headline, but it could actually happen in Second Life. And it did tonight, when I attended the launch event for Phil Rossi's new podcast novel, Eden. For those of you who haven't tried a podcast novel, they are quite fun and in a way like those radio serials of the distant past. Each week a new episode is released and usually you are left hanging on the action until the next week's episode arrives. I've listened quite a few over the past several years, and I'm going to continue as long as they keep coming. Phil is a veteran of podcast novels, having published the very popular "Crescent" podcast in 2007. It's a truly spooky thriller set in a future space station in a far-away part of the galaxy, inhabited by various not-so-nice characters. The series proved so popular that he's even obtained a RL book deal for this work to be published in the atomic world by Dragon Moon press! Having listened and enjoyed his very well done Crescent series, I could not resist attending tonight's event. Phil took the stage in a giant spaceship high above the surface of Corona Cay where a couple dozen fans were there to hear him read the first episode. Afterwards Phil, who's also a terrific musician, pulled out his guitar and gave us a wonderful live concert. Once again, I'm amazed at these kinds of events where several different mediums intersect in ways unimaginable a few years ago. Tonight we experienced spaceships, music and print all joined via virtual reality. The new podcast launches on February 11th, and you can find it on Podiobooks.com. For more info on Phil's work you can check out his sites at CrescentStation.net and PhilRossi.net. You might say I have a thing for names. Probably he’s obsessed, you’d think. You’d be right, too. I believe finding the right name is a true art that takes time and effort to get right. Don’t ask me to pick domain name, because I’ll worry about it for days. I’ve written about SL names more than once, and as they are some of the most popular articles I’ve written, I’d say I’m not the only one who has an interest in names. Haha! As I read through these, all kinds of wonderful first/last name combinations come to mind, especially for “Head”, “Nose” and “Evil”. Which ones do you like? Some, like “Obama” or “Hendrix” probably should have been there a long time ago. Was “Bush” ever an active name? I believe a few of these were active in the past. But many have never been active, and it would be terrific to use some of them instead of the all-too-frequent nonsensical, unspellable and unpronounceable names we see in recent months. If any Lindens are listening, perhaps they could use a few of these? And speaking of Lindens, one of the Last Name suggestions was in fact, “Linden”. Haley and I were discussing these names when it hit me: Plurk allows users to change their handle to anything – and anything includes “Linden”! 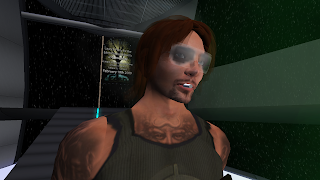 So, at 2AM we decided to launch “Be a Linden Day” on Plurk. I changed my name to “Armi Linden” and Haley became “Queen of Linden”. I plurked the event, and waited. I was not disappointed. By morning the meme had spread to practically everyone, although a few believed it would reflect poorly on themselves to be one of those accursed Lindens, even for a day of fantasy. A few others wanted to be rebels and deliberately stood aside (e.g. “Resident Moggs”). 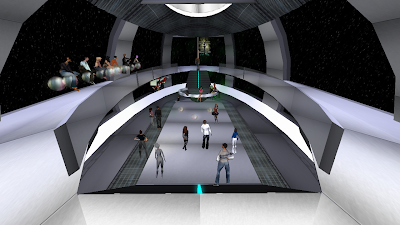 Many newly minted Lindens exercised their new God-like powers by restarting the grid, handing out Linden dollars and performing all manner of crazy acts. Even though a few didn’t choose to participate, it’s pretty clear we’re going to do this again sometime. I’m sorry, but there were many, many more, and I just can’t remember them. Perhaps you can add yours in the comments? My personal favorite? It had to be dandeLinden. Just say it aloud and you’ll agree with me. I’ve been wondering about my customers. Who are they? Where do they come from? How did they find the store? The first step is to get some statistics. To do so, I conjured up a simple monitor script that quietly tracks visitors when they appear. That’s all – it just records very basic information about those nearby periodically. You can even purchase monitoring tools similar to this yourself if you’d like, there’s plenty for sale on XStreetSL. Maybe I’ll package up mine and put in on sale someday if there is interest. The results? Well, there is plenty to analyze in the two months of data I’ve collected, but the first analysis I considered was language. My theory was that most of my visitors would be English speaking, since that is the language of the majority of my promotional activities. The results show that yes, English is by far the most popular language of my customers. But it’s interesting to note that significant numbers of visitors are non-English, with large numbers of German, French, Spanish, Italian and Portuguese. The third biggest group is in fact “unknown”. That means the avatar has not specified their language or does not permit it to be seen. 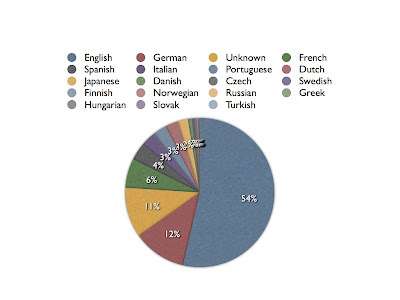 Many other languages are represented in much smaller percentages. But the number one theory is that those non-English speakers probably speak English as a second language anyway! Stay tuned for more analysis in the future.